Our listing at 3525 Speigelmeyer is one of a kind! 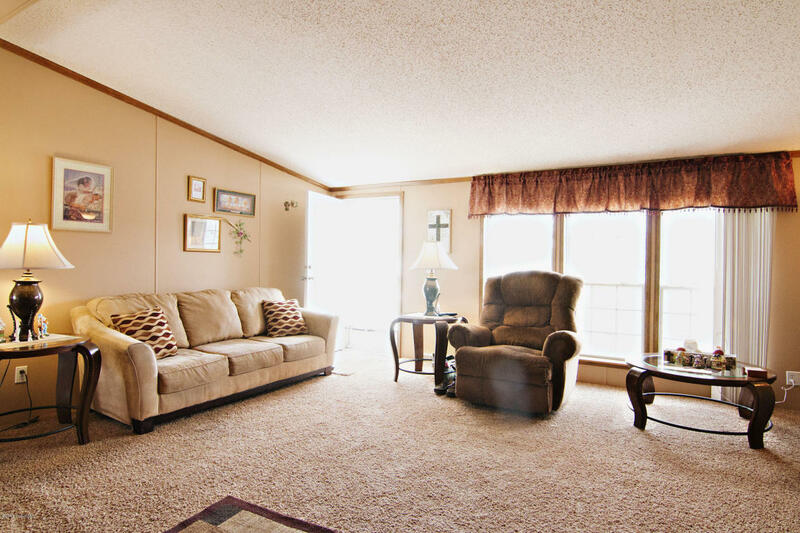 Situated on 2 acres in town with NO covenants! 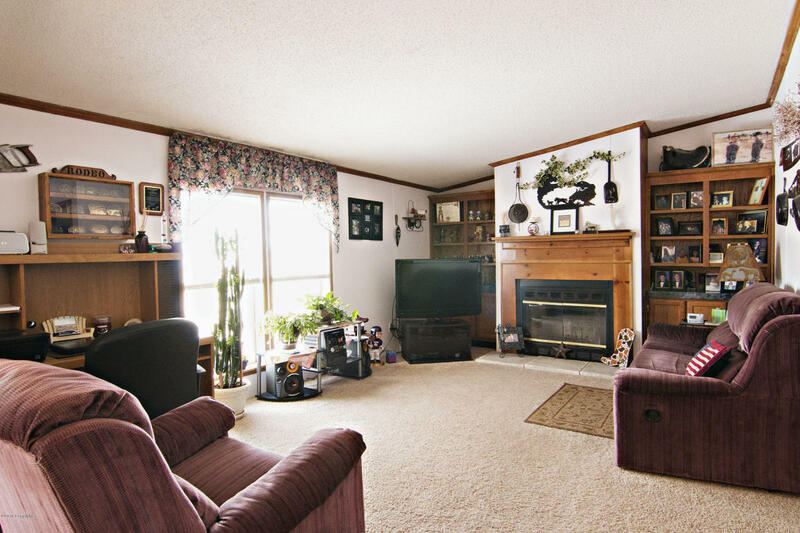 This home is 3 bedrooms, 2 bathrooms and 1,560 square feet. The kitchen in this home is built for entertaining or large family gatherings. In a unique “L” shape it has counter and cabinet space galore! 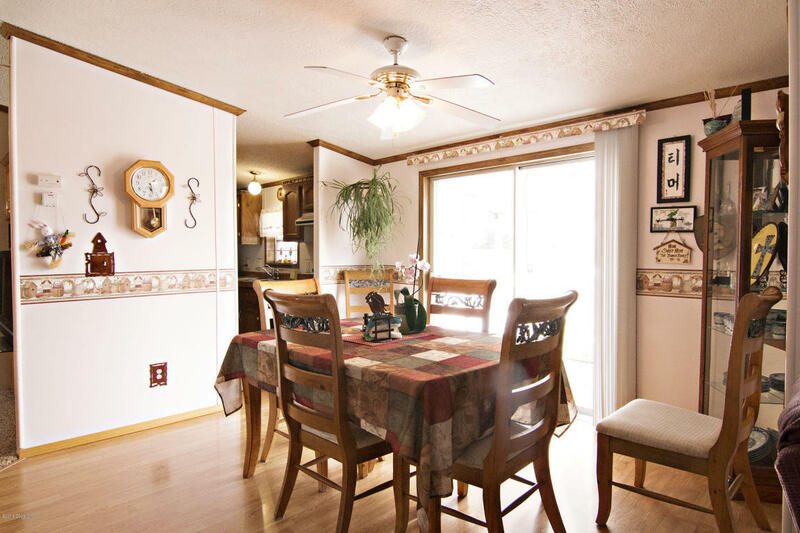 The dining room is spacious and full of natural light with beautiful wood floors. The open ended “L” shaped kitchen leads to an extremely open concept for great flow from room to room. The living room is quite spacious and has large windows again offering that natural light and a fireplace for energy efficiency, warmth, and ambience. The master bedroom is generously sized and has an en-suite master bathroom. This bathroom features tons of cabinets for storage and the washer and dryer are conveniently located right in the bathroom! The two other bedrooms in this home are spacious, bright, and have an abundance of closet space. Another full bathroom with a tub/shower combo is conveniently located near the additional bedroms. A utility room/mud room on one end of the home keeps the tracking of dirt and debris to a minimum. Outside this home features a large deck off of the front and a covered deck leading to a patio in the back. If you like to entertain outdoors, this home is made for you! 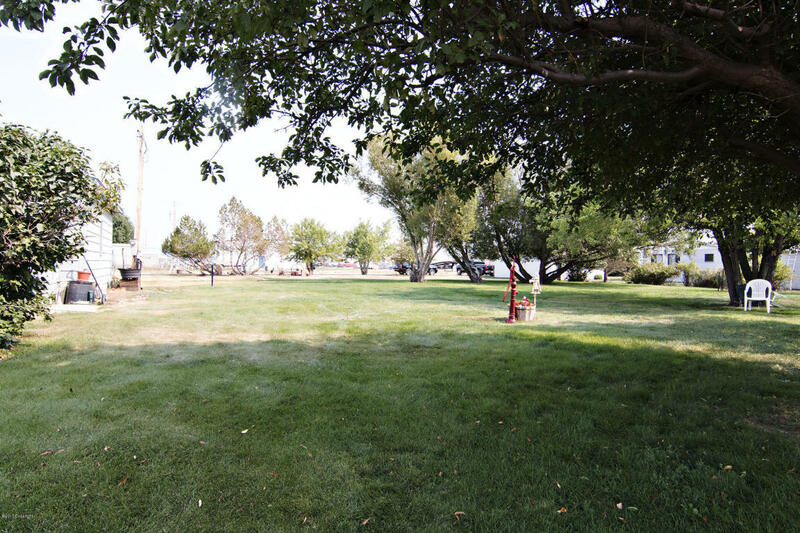 The yard is beautifully landscaped and leads straight to the rest of the 2 acres this lot is situated on. Mature trees with Donkey Creek in the background make this an impossible to pass up location! For the tinkerer there’s a large detached garage. 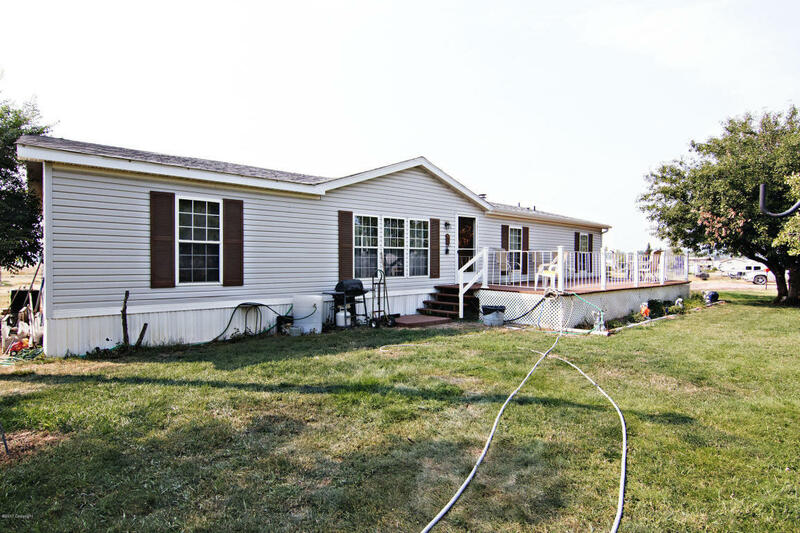 A storage trailer, small shed, and chicken coop all stay on the property for the new owners to enjoy! Please enjoy a sneak peek with the photos below!